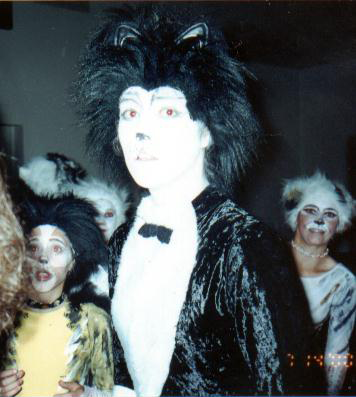 Here is the Mr. Mistoffelees costume I made for my 2000 production of Cats. He's made out of a velvet unitard and fake fur, the warmers are big tube socks and fabric markers, and the wig is an altered 'Rubies Cat Hood'. 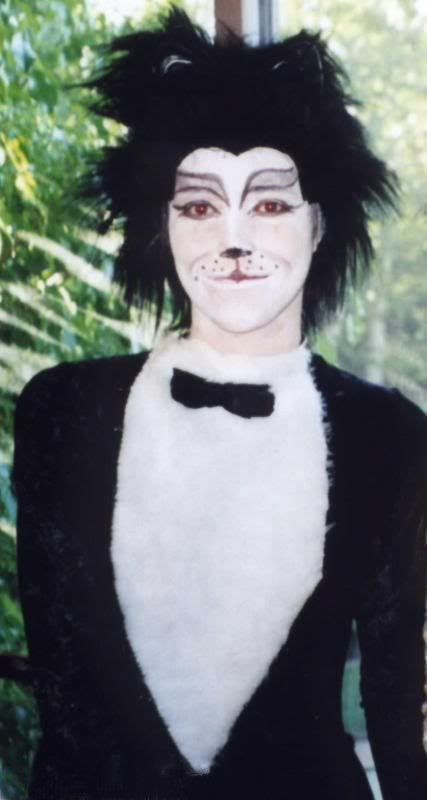 This was the first Cats costume I've ever made, although I helped out with all the other costumes in our fan production. 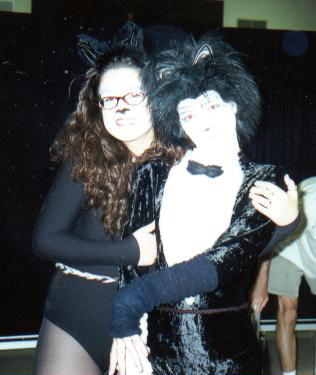 Grizabella and Misto before the show!